You would think that living in Florence for 8+ years means you pretty much know what is and isn’t open on a Monday. No excuses right? To be fair, normally I stay home on Mondays, the first day back to work after the weekend is always a little overwhelming and Nico and I are in the ‘let’s save money and eat a home’ phase which means a cozy night at home is what normally happens. Well, recently when my friend Annie came to visit from Rome and asked to go out on Monday night, I started calling places. Dim sum on via dei neri, closed, Le Vespe on via ghibellina, yep, not open on Mondays. This is when I started to get a little frustrated. I get that traditionally businesses close on Mondays in Italy but in Florence the rules always seem to be a little flexible on that note because we have so many people in our city in any given time. You’d think, well everything else is closed, let’s make some money. Nah. 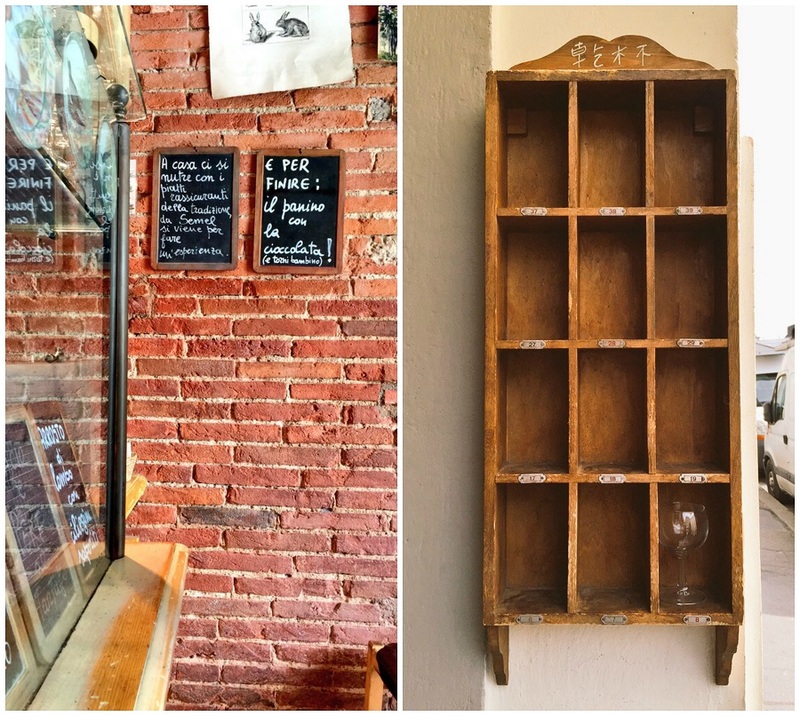 Eventually we ended up going to the amazing Libreria Brac which is always a wonderful experience but that’s what lit the fire for me to originally write this post. My failed attempts at life are your reward. What’s open on Monday? In true Girl in Florence style, I’ll try to give you a few ideas so you don’t end up wandering around aimlessly. *Hot Tip: Tickets can quickly add up which means you might consider purchasing the Firenzecard (the cost is 72€ and it allows for entrance to 72 museums with a duration of 72 hours). I think it’s worth it for the fact that is allows for priority entrance to many of the most popular hotspots in Florence like the Uffizi, and it includes public transport. Alternatively you might want to keep in mind that the Duomo Complex (this includes the Baptistery, Giotto’s Bell Tower, and Brunelleschi’s Dome; the Museo dell’Opera del Duomo) raised the price of its cumulative ticket (2018 update) from 15€ to 18€ this year, but will extend the visiting time to 72 hours. While some of the biggest museums are closed on Monday, the Uffizi Gallery, Palazzo Pitti and Accademia Gallery, that’s just fine because there are plenty of other options open to the public. Alternatively, you can also take a gourmet food tour with the Curious Appetite team who is my go-to group for eating my way through the city. They are always open on Mondays. Take advantage! For example, the Orsanmichele museum is actually only open on Mondays and is absolutely worth a visit. Nearby there is even a tiny little urban garden where you can get a coffee/drink/light lunch during this summer, just look out for piazza dei tre re. Lean more about this special place with tour guide and good friend Alexandra Lawrence as we take a walk around this iconic place in Florence. 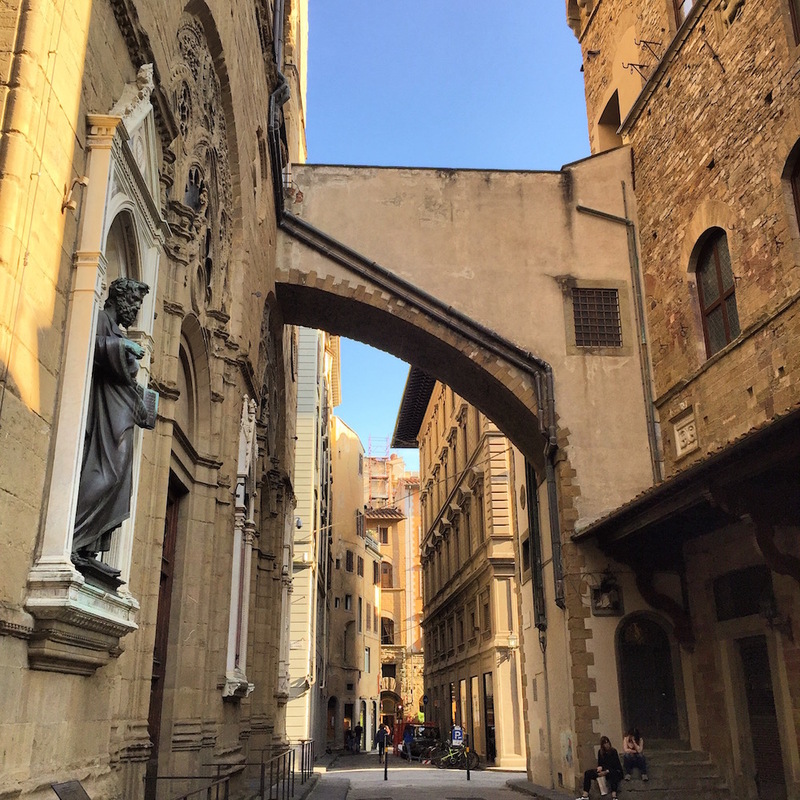 Alexandra Lawrence – Explore Florence and I are LIVE this Wednesday taking a walk around Orsanmichele, a “hidden in plain sight” church/museum that was once a former grain storage space. In Piazza dei Tre Re returns an adorable urban garden @serretorrigiani. The perfect spot for an outdoor breakfast (light lunch or simply a drink) that won't break the bank in the center of #YourFlorence. Look for the adorable signs pointing to its entrance in front of Orsanmichele church. Visit The Duomo Museum featuring many important sculptures that were once housed in and around the cathedral, with an ideal introduction to Brunelleschi’s first-of-its-time cupola. It is open Monday 9am-7pm from October 29th. My advice is to climb up Giotto’s bell tower or visit the Duomo’s cupola, there is no cardio or elliptical machine that is as good as this, plus the view is spectacular! Take a cocktail-making class with the fab team of Curious Appetite who together with one of the best bartenders in the city will teach you how to concoct popular Italian cocktails such as the iconic negroni and martini. The class is only available on Mondays and Thursdays with a max group size of 5 people. Plus, you get to bring back that liquid knowledge back home as you make cocktails and serve Italian snacks to your friends! Climb up the Arnolfo tower at Palazzo Vecchio, the city’s seat of power and enjoy one of the best views in town. The Palazzo Vecchio is one of those places that anyone who wants to understand the city’s history should visit. I do believe going with a tour guide would make this experience truly special. Visit one of Florence’s most important churches, Santa Croce Church which was built for the Franciscan order in 1294 by Arnolfo di Cambi. Inside you will discover a wealth of history and art in incredible frescoes by Gaddi (have a peek in the Cappella Maggiore) and Giotto in the Bardi and Peruzzi Chapels. 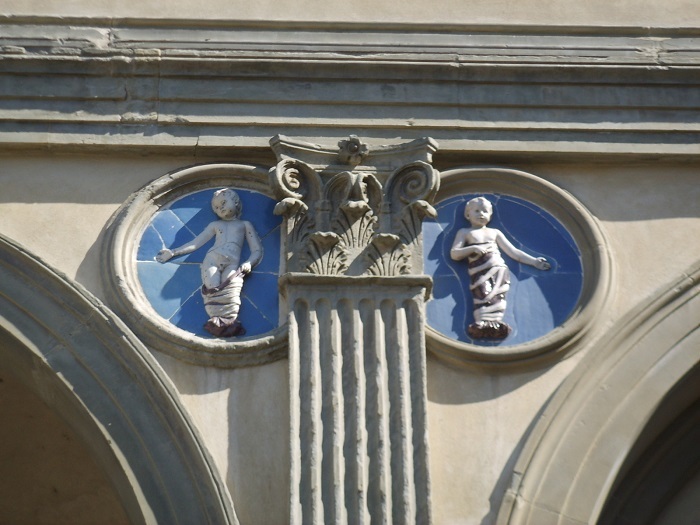 Explore more of ‘hidden Florence’ like the Spedale degli Innocenti Museum (built by Filippo Brunelleschi and provided care for infants and children for over five centuries.) It actually just opened on June 2016 and features over 5000 square meters of space. Piazza SS.Marie Annunziata. Open Monday 10-7pm. Read more about it here. Keep in mind the terrace at Innocenti offers one of the most interesting views in the city as is rarely full. A Walk in Piazza Santissima Annunziata in Florence! Finally visit the Medici Chapels (go early) next to the Basilica di San Lorenzo, which means you can eat at the Mercato Centrale new ‘first floor’ after or my favorite local trattoria, Sergio Gozzi! Go early to check out the Palazzo Davanzati (a house museum that let’s you see what real Medieval life was like). It opens at 8:15 and closes at 1pm so you’ll want to go on the earlier side. Visit the Brancacci chapel in piazza del carmine and frescoes by Masaccio, open 10am-5pm. Go off-the-beaten-path to see one man’s impressive private collection of armory, weapons and beautiful tapestries at Stibbert museum. Try and make a reservation at one of the most beautiful ‘hidden’ areas of Florence, the stunning Torrigiani gardens, the biggest private gardens in Europe. For more tips on gardens, check out this guide. Don’t leave Florence without visiting the Bargello and San Marco Museums. All a little ‘less-known’ compared to the big ones but so worth it. 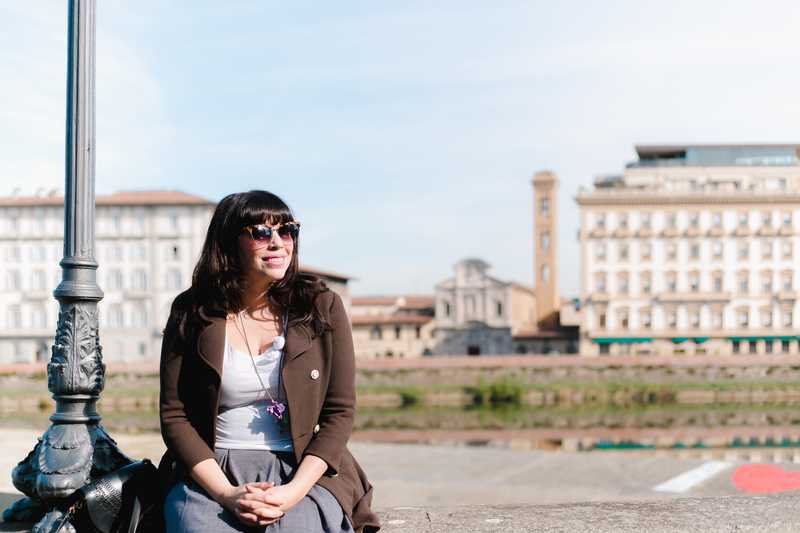 I do recommend hiring a guide, Alexandra Lawrence exploreflorence@gmail.com. You can see a full list of what attractions and list of churches which are open on Mondays, plus opening hours and prices on Visit Florence. One of my favorite things to do in Florence when it’s a Monday is just walk, normally after lunch or before dinner with our dog Ginger, since this day is so much less crowded than the weekend, it’s a good way to start off your week since this city is so darn beautiful. You can find one of my favorite paths on ‘this side of the river’ here, which I think offers some of the best views in town. Heading to San Miniato al Monte (open daily) is always top on my list due to the ethereal feeling you get so high above Florence in a place over a 1,000 years old. 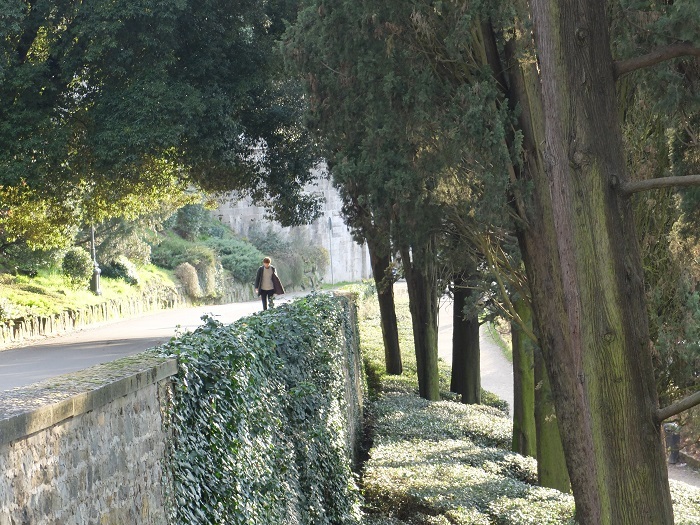 Also walking along viale michelangelo offers a nice walking path with leafy trees and a feeling like you are truly lost in Tuscany. Plus if you get tired the bus 12 and 13 (same route) can take you back into town. One of my favorite walks is along the Costa di San Giorgio, close to my house near the Ponte Vecchio and near to Forte del Belvedere (open during the warmer months and currently hosting a cool, free exhibit). Just a few steps from the historical center in these streets and you feel like you are inside a tiny town, far away in Tuscany, where a quietness prevails, people actually keep flowers on their windowsills and you can actually hear birds chirp. In that same general area, Via del belvedere is a nice street to walk down because you can stroll along together with some of Florence’s ancient walls. Another favorite area to wander which is a little more hidden is the hill of Bellosguardo, you want to head to Via di Bellosguardo and the piazza of the same name, walk along the streets of Via di San Vito, Via Piana, or Via di San Carlo for stunning views and cypress trees. Some of the buildings in this area are The Villa dell’Ombrellino which was built in 16th Century (and where Galileo Galilei once lived) and The Church of the Saints Vito and Modesto a Bellosguardo which origins date back to the 11th century. I first got to know this area when I did some August house-sitting for a family with a house there, probably one of the best summer’s I ever spent in Florence mainly because I got to ‘get lost’ in this previously unknown to me area. It is also from this view-point that painter and cartographer Francesco di Lorenzo Rosselli created his ‘Pianta della catena’, one of the first representations of the city following perspective and cartography rules. During the summer, when it’s too hot to think, you’d be surprised that the city actually has it’s very own artificial “beach” next to the river where you can wile away Monday’s sunny glare and catch some rays. Called “Easy Living,” you can visit anytime this summer between 10:00am-1:30am and they do have sun beds/a shower. There is a kiosk selling food and drinks at night it attracts plenty of local color and some interesting DJ sets. Need tips for local pools? This list by VisitFlorence has you covered. Or if you really want to ‘get away’ but not stray too far from home, head to Fiesole, the once-Etruscan village above Florence, a 25 minute bus ride from Piazza San Marco (bus 7). There they have a wonderful walking path surrounding the town, plus on a clear day you can see the Duomo’s cupola from the monastery of San Francesco. It also is a prime spot for picnic, as a student I went there often and it still takes my breath away today. Visit the Etruscan-Roman archaeological ruins, which includes a Roman theater, the civic museum holds a number of artifacts found in this area. 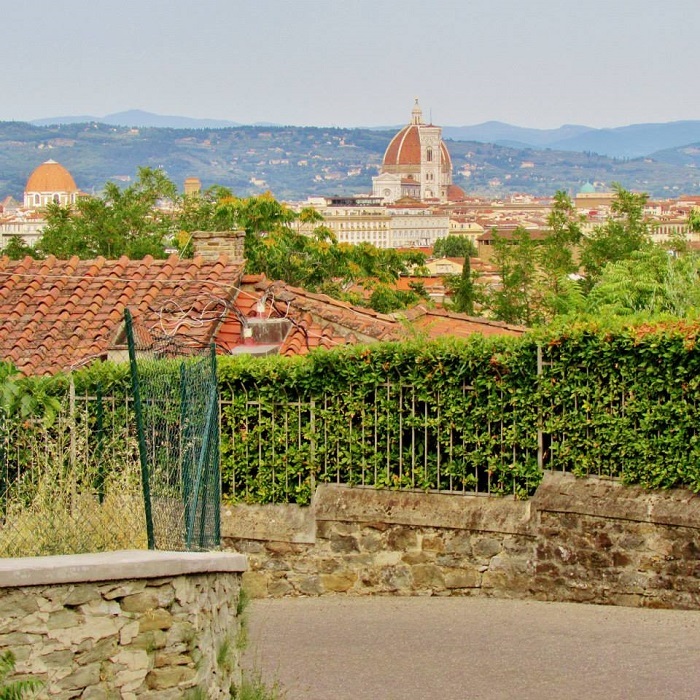 If you are feeling brave, you can actually walk to Fiesole along Via Vecchia Fiesolana from San Domenico. I’ve done it before but it’s not for the faint of heart. The upside is you get to spot plenty of Renaissance villas along the way, and earn that glass of wine when you finally do reach the top. And maybe a burger. It’s Monday: Where Can I Eat? Naturally you need to know where to eat on a Monday which can be fairly tricky. From what I understand, some places just close in winter on Mondays whereas for others it’s all year-round. I know I get annoyed when I can’t find a place to eat so I’m here to help you avoid that problem. Many places are closed but some of the my favorite places that remain open on Mondays including the first floor of the Mercato Centrale in san lorenzo which is open every single day until midnight, booyah! Ps. If you need a list of vegetarian/vegan/gluten free options – I have a list for you here. Libreria Brac – libreria d’arte contemporanea caffè e cucina. Neighborhood: Piazza Signoria + Santa Croce | I am in love with this place for lunch and dinner because they serve yummy, healthy stuff. Like avocado salad with sesame, all sorts of interesting veggie lasagne and great wine. For dinner, you almost always need a reservation because everyone loves this place. Get the ‘piatto unico’ which allows you to choose three options on their yummy, seasonal menu, it make take a while to make but it is worth it. 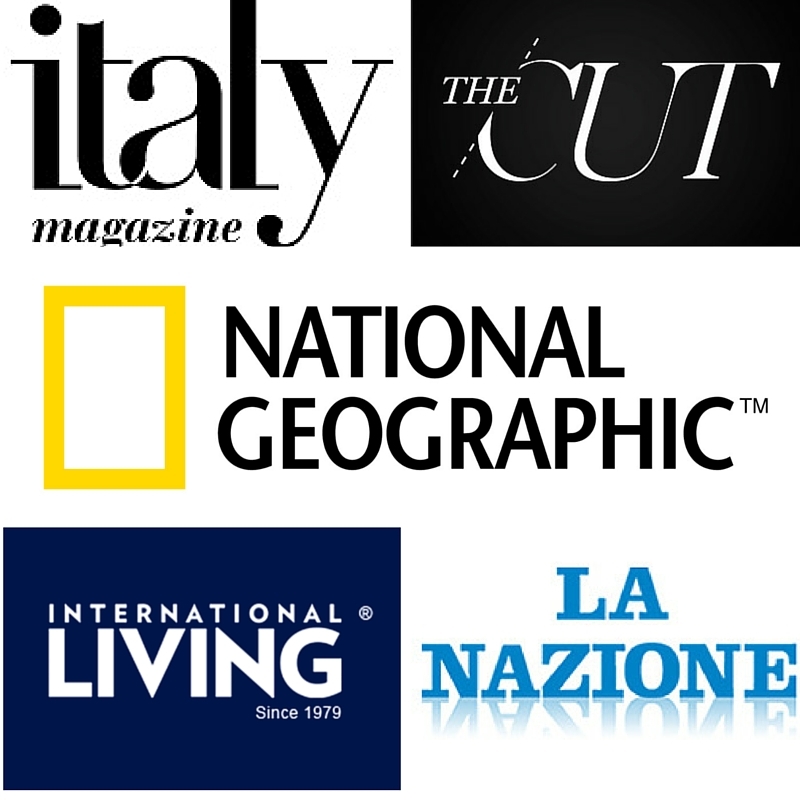 address: Via dei Vagellai, 18, 50122 Firenze (close to via dei benci and piazza della signoria). Phone: +39 055 094 4877. Da Rocco in Sant’Ambrogio Market. In Piazza Ghiberti. 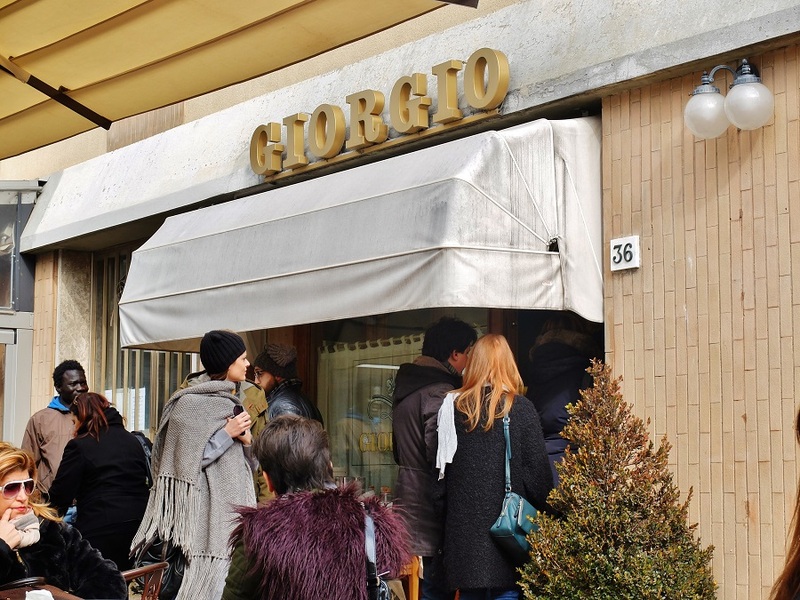 Open during the same time as the fresh food market, you’ll find “Da Rocco” inside the complex in Piazza Ghiberti and full of people from 1pm onwards (closes at 3:30). My advice is to go around 12:30. The menu is typical Tuscan dishes, think lampredotto, fagioli all’uccelletto, lasagne, melanzane alla parmigiana, all for very good prices. Trattoria Sergio Gozzi is located in Piazza di San Lorenzo, 8R, just off the main square, the entrance is tiny and easy to miss. This is old school Tuscan food, at its very best. Marble-topped tables, the only decent house wine in town, fried polpette that make me want to sing and delicious pasta. This is a must and yes, it is open on Monday. Floret is a contemporary cool bistro located Inside the Luisa Via Roma store on the first floor terrace. address: Via Roma, 19/21/r, 50123. A great spot for a healthy lunch (they serve notable salads, fresh juices, and one of the best club sandwiches with kale chips that I’ve had in Florence. Open 10:30-7:30pm with continuous hours. Piazza della Repubblica, 7, 50123 Firenze . Phone: 055 273 5891. Open daily from 12:30pm-10:30pm. Club Culinario Toscano da Osvaldo. Neighborhood Santa Croce | This place is a real gem of Italian food in Santa Croce, in fact I really believe you can’t get better than this place in the neighborhood. I highly recommend the Frittelline di baccalà e cici and Manfregole fabresi con ciuffi di burrata e asparagus. Everything I’ve had here, I’ve loved. Open 12-3, 6pm-11pm. address: Piazza dei Peruzzi, 3R, 50122 Firenze. Phone: 055 217919. They even let you reserve a spot online. Zeb is a family-owned restaurant in the San Niccolo neighborhood and means “soup and bollito (boiled meats)” which are very representative of Tuscan cuisine; while the location itself is rather small it has a contemporary flair that I really appreciate and the food is absolutely excellent, try the homemade pasta and excellent selection of seasonal sides and main dishes. I usually get a huge plate of veggies here when I’m in the neighborhood. address: Via San Miniato, 2, Florence, Italy. Open for lunch and dinner, also great for a solo diner. Osteria della Enoteca is, as you probably already know, one of my favorite places for Tuscan steak in the city of Florence. Closed on Tuesdays, it makes for a worth trek to Via Romana, opposite from the Boboli gardens, for a dinner you won’t soon forget. Indulge in their impressive steak menu and traditional wines (that’s what they are known for) but don’t miss out on the seasonal pasta dishes too, I am dying for that artichoke dish.. Via Romana, 70/r. Reservations recommended. +39 055 228 6018. Ristorante del Fagioli. Neighborhood: Santa Croce. I | Also a ‘typical Tuscan’ joint located in the historical center of town, it’s open on Mondays and is always pretty crowded. Ironically they are closed Saturday and Sunday which is actually sort of genius when you think about it because everyone else is open! I loved the polpette (meatballs) I got their last year and they do make some pretty awesome beans (sort of a ‘must’ since it’s in their name). 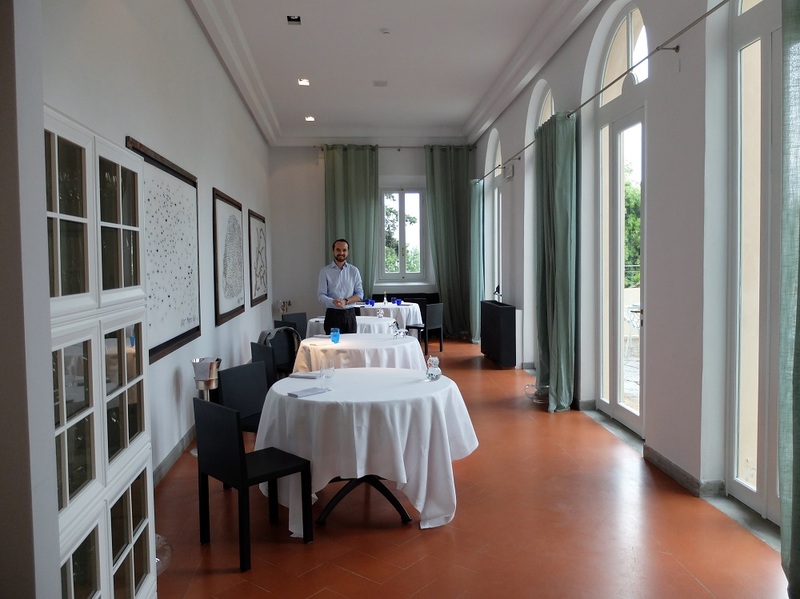 Reservations are a must, and prices are medium 25-30 euros a head with wine, cash only. Address: Corso dei Tintori, 47-r. Phone: +39 055 244285. Da Gherardo. Neighborhood: San Frediano | A Neapolitan pizzeria on the ‘other side’ of the river. The space is tiny and cave-like but I actually love it. The pizza is fantastic, ask for the daily specials — and you can get cheap house wine or beer. The kind of place you probably should book ahead and go in intimate (no bigger than 4 ) groups. address: Borgo S. Frediano, 57/R, 50124 Firenze, +39 055 282 921, open daily 7:30pm-1pm. Pizzeria Torcicoda. Neighborhood: Santa Croce | Part of a larger trattoria and restaurant, Torcicoda is one of my favorite spots for pizza, while I think the restaurant is overpriced. They use quality dough and great tomatoes, I really like the ambiance too — go for the craft beer but be aware it’s around 15 euros a bottle (large). address: Via Torta, 5, Firenze. Open 12pm-12am (daily). La Bussola. Neighborhood: Near piazza strozzi | I love this place yet I don’t seem to go enough. They are not only open on Monday, but also make great pizza, fish and Tuscan specialties. Their prices are on the higher side which can be a deter to some but it does offer a nice ambiance. I also can recommend their fillet which is cooked to perfection. Address: Via Porta Rossa, 58/R, Phone: +39 055 293376. Phone: +39 055 239 6466. Prices are average. Light Lunch or Aperitivo: Everyone loves Casa del Vino. Neighborhood: San Lorenzo. | This tiny spot is a local favorite for those looking for a quick bite to eat. 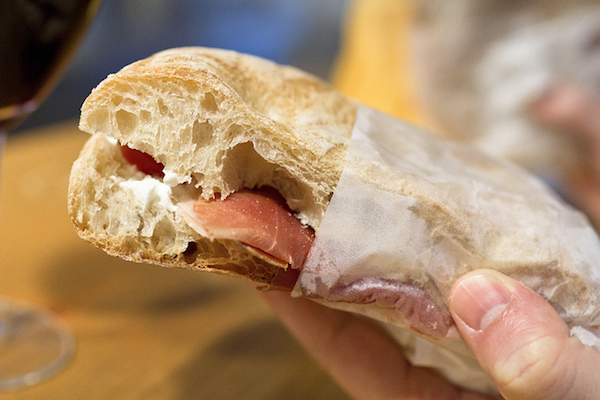 One of the reasons I fell in love with the place was for its simple decor, wood and marble and the same people whipping up sandwiches day in and day out. Address: Via dell’Ariento, 16/R, 50123 Firenze. Open till 8pm. Phone + 39 055 239 8132. Open till 9pm. Healthy In The Oltrarno: Il Carduccio is my go-to spot for a nice salad, organic wines or whatever Miranda and her partner have concocted that week. All of their vegetables and fruits come from a local organic farm. address: Sdrucciolo de’ Pitti, 10/R, 50125 Firenze. Open until 8pm. On that note, I’m sure I missed out on plenty of places, restaurants or ideas so feel free to share your own, since this info is valuable for everyone. Even Texan Tuscan bloggers that occasionally forget what day it is ;-). Hello Anne Marie, Bellosguardo is an area (the photo is from the private garden of the house I was house-sitting) but such a beautiful place to walk. It feels like another world! Definitely check it out the next time you’re in Florence! Another great post!!!! I look forward to reading all your post with a caffe and learning new things and also laughing at many of your funny ones!!!!!! Thank you for sharing this amazing info which is difficult to find!!!!!! Ciao Maxine! thank you so much :). I figured I needed to write something like this also so that I can refer to it when people come to visit on a Monday, at least there are some decent options out there ;-). For lunch any day of the week, I love the energy at Trattoria Da Rocco in Mercato di Sant’Ambrogio. I know, it’s a bit touristy, but I love sharing a table and making new friends. Open every day from 11am-3:30pm. After lunch we do our grocery shopping in the market. A route I recommend for joggers and fitness walkers is to start at Piazza di Santa Croce, then cross the Arno on Ponte alle Grazie and take a left to Viale Michelangelo. Follow Viale Michelangelo past Piazzale Micheangelo and San Miniato al Monte continuing on Viale Galileo. Then take Viale Machiavelli to Porta Roma and the Oltrarno. Head back to the centro storico and Santa Croce. The total distance is about 11-12km or 7mi. Runners will find this very attractive because there is little crossing traffic, which can be a problem most everywhere in Florence. And of course, the route is awesomely beautiful. Definitely checking out the Bellosguardo Gardens when I return. Thanks so much for keeping the dream alive! Buona giornata! Earl thank you so so much for your advice, I will definitely try out Tattoria da Rocco, I don’t mind at all if a place is ‘touristy’ as long as the food is good and they treat everyone equally. We’re all tourists when we visit a new city, aren’t we? The market is the best for shopping. I actually just broke my old-lady wheeled shopping bag so I have to wait for an Ikea trip before I can go back since it’s a bit far from our house in the oltrarno. I know your jogging path well, you picked a pretty one! I agree that runners (and cyclists) would enjoy that because of the lack of cars, which can be an issue in the city. They are always pushing bikes on citizens but then don’t offer them many safe biking paths, bizarre! This is great! Pictures are as beautiful as usual. I remember visiting: Piazzale Micheangelo and San Miniato al Monte and a few more of the places that you wrote about through the years. Ciao Gil, than you so much! I am in love with these areas of town, not just for the view but just for that bit of quiet, we sometimes don’t get in ‘pieno centro’ Firenze. Love your website and instagram feed! Hello Christine, I am so happy that this post was able to help! You guys will adore Orsanmichele and the badia. Keep in touch if you need any other questions about Florence while you’re here, always happy to help a fellow Texan! Thank you for this post! 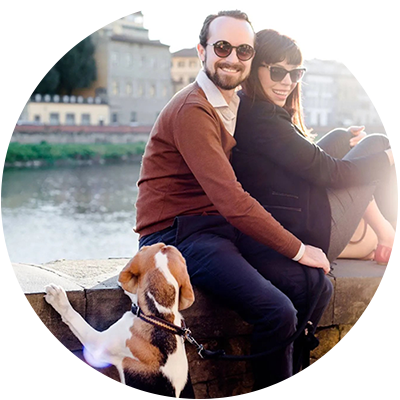 We’re going to spend a few weeks in Florence this summer, we can sure do with advice for our three Mondays there 🙂 I am so excited about going: I am from Rome and I have been to Florence before, but only for short trips: one day or a week end at the most. Now, with almost three weeks, I hope we can really savour it and feel like locals: your blog will sure help! Ciao Marta! My pleasure – I needed to do this post for so many reasons (and even as a reference to myself when people are visiting on Mondays). You will certainly have a great time in Italy and if I can do anything to help, just let me know. Thanks for this post! Could you let me know where the 1st picture was taken? This is perfect as I will be spending a Monday (in a few weeks) in Florence – always good to know in advance what is/isn’t to avoid being disappointed. Especially love getting a firsthand “list” of recommendations. Grazie! Ciao Victoria, my pleasure! I had a sad Monday where I went to a few different places that were closed which is why I decided to go ahead and write the post, even as a personal reference for myself :). Prego! Ciao Gianna. 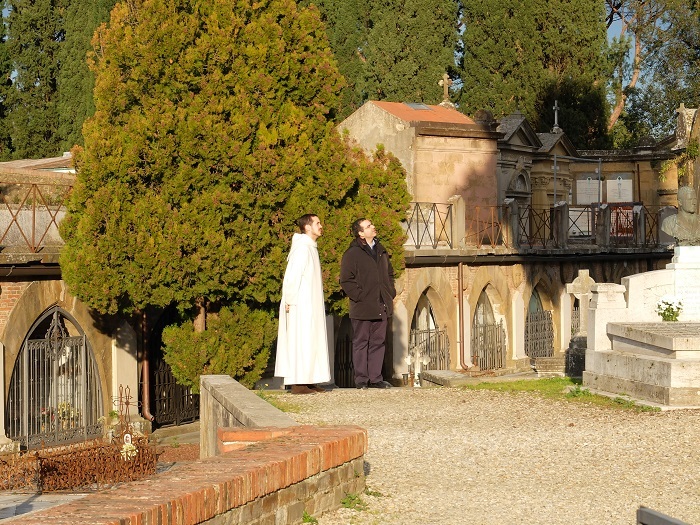 it is actually the road that leads up to San Miniato al Monte, a very beautiful path to walk! Hi! I truly love all the info you are sharing as my husband and I are taking our first trip to Italy in late August. Will be in Florence late August for 3 days then to Castellina in Chianti for 3 nights and renting a car. Any advice is great! already printed out your info on driving in Tuscany…thanks so much! Will arrive in Florence on Sunday, exploring Florence on our own Monday and Tuesday! any suggestions would be so appreciated! Thank you Jannie, I appreciate your kind words! Castellini is a lovely spot to stay and a car is very needed. 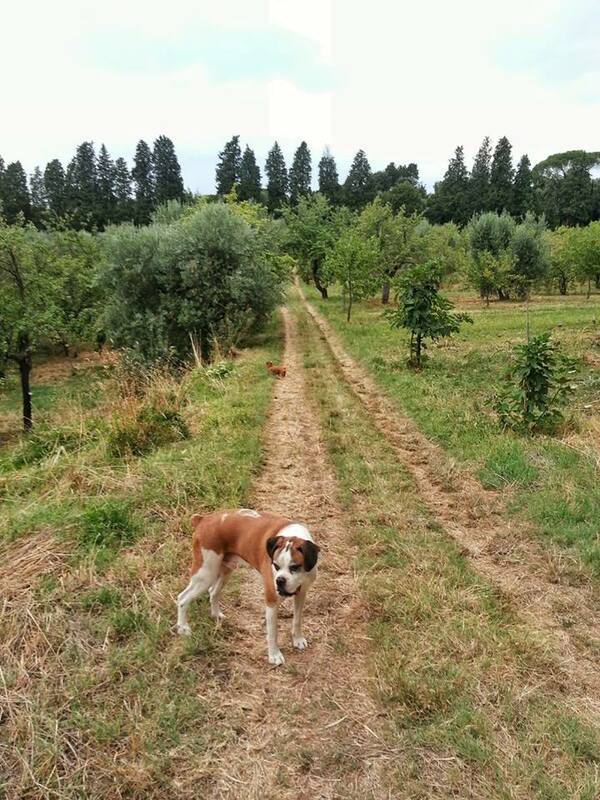 If you need some slow food tours in that area, I can highly recommend Km Zero Tours. As for Florence, you have these ideas for a Monday. 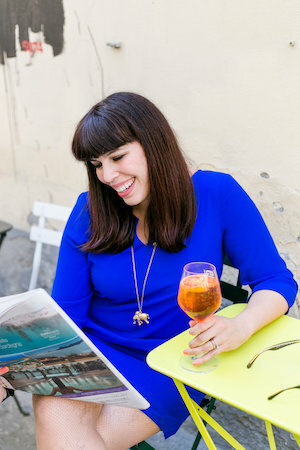 If you can hire a local guide to take you to Innocenti museum and the Duomo museum, my best recommendation is Alexandra Lawrence (her email is exploreflorence@gmail.com). Also make sure to get an ice coffee at the new Ditta Artigianale in my neighborhood, via dello sprone :). Hope that helps! My husband and I are traveling to italy in October and can not wait to see florence. I have heard so many great things about the markets, gelato, leather, museums etc. Your blog has been such a wealth of information. We arrive Sunday afternoon and leave Tuesday. Not realizing how much is closed on Monday I feel time crunched! Are the shops and markets open on Monday? My family and friends will be going to Florence later this month – on a Monday – and we don’t have much time with Tuscany and Parma tours planned. You posted that Mercato Centrale is open until midnight every night, but I’ve also read in other places that it closes at 2:00pm. What are the current hours for this, specifically Nov 21. Thanks! I’ve loved reading your blog in preparation for our trip! Are any of the smaller boutique shops and big brand shops open on Sunday? I’ve been to Florence 3 times now but I honestly cannot recall what day of the week I was there and can’t remember if shops were closed on a Sunday or a Monday. The Golden View Open Bar on oltrarno side just to the left of Ponte Vecchio is always a favorite of mine. Great view and I have always enjoyed the food. They are open every day so it is a good option for Mondays. Their cingiale and also gnocchi con formaggi are both good.